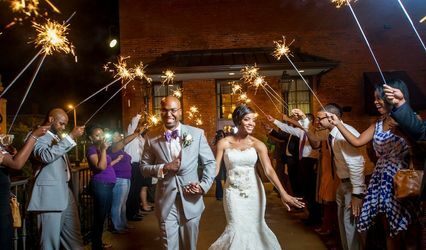 Highland Chapel--located and serving clients in the Atlanta, Georgia region--is a gorgeous church and wedding event venue. 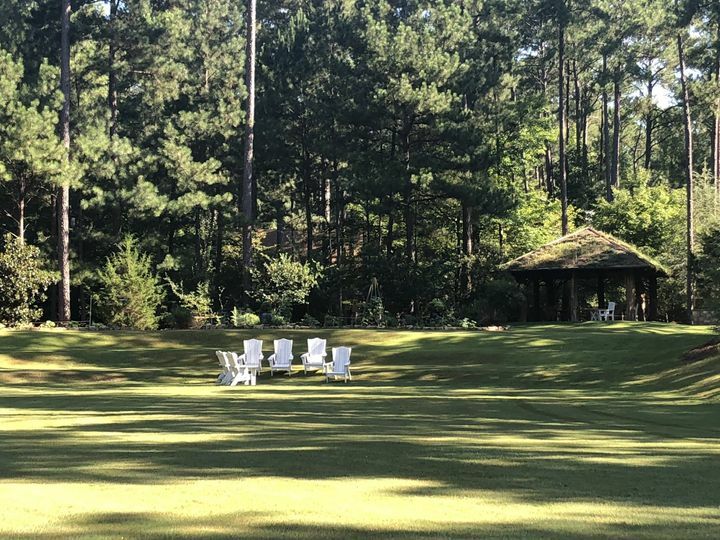 Nestled between Highland Country Club and West Point Lake, this venue serves as the perfect location for your wedding ceremony. 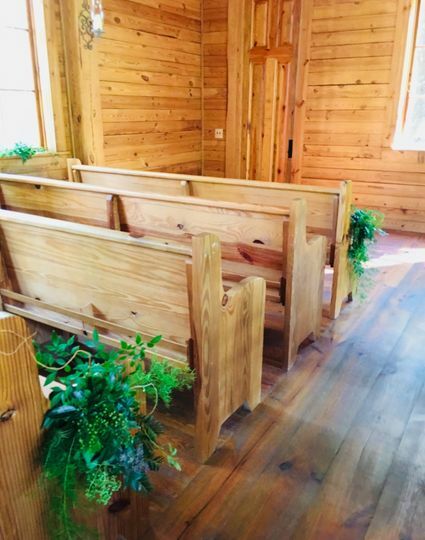 Highland Chapel was constructed of pine trees from the surrounding land, and featuring handcrafted pews, showcases the surrounding landscape with its lovely large windows. The venue seats approximately 100 people. 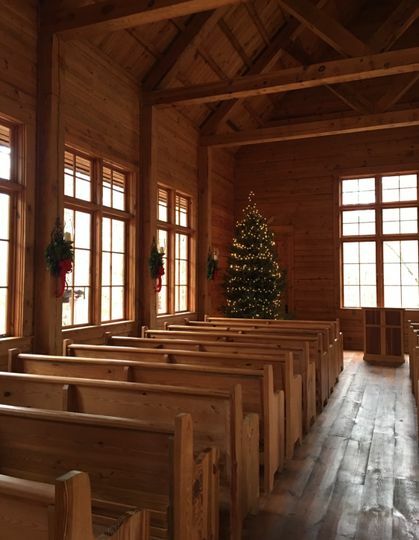 The chapel also boasts a Steinway baby grand piano for use before, during, and after the ceremony. 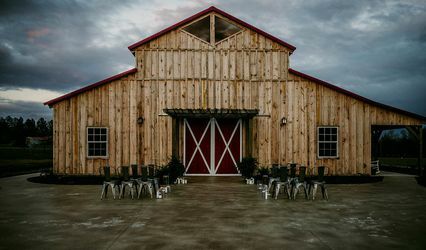 There is a one-acre field that can be used for a tent, or as a dance floor. Couples will also have easy access to the entrance road for food trucks, transportation, and other vehicles. 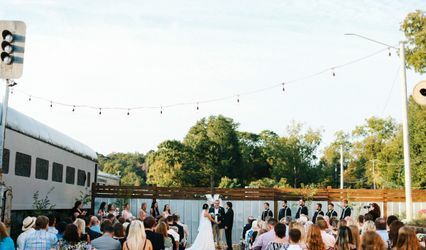 Highland Park also has a pavilion available for rental, and Highland Park Country Club is nearby if you are interested in using that space for your wedding reception. 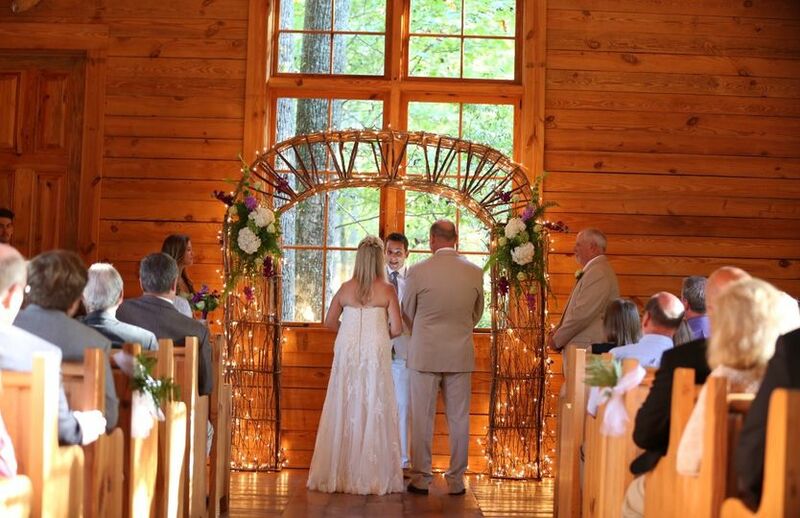 Highland Chapel offers services for wedding ceremonies, receptions, and rehearsal dinners. In their starting price, the venue includes event planning and setup services. The venue also provides servers and bartenders for your event, should you decide you’d like catering and bar services. The venue provides audio equipment, barware, and convenient parking for you and your guests. 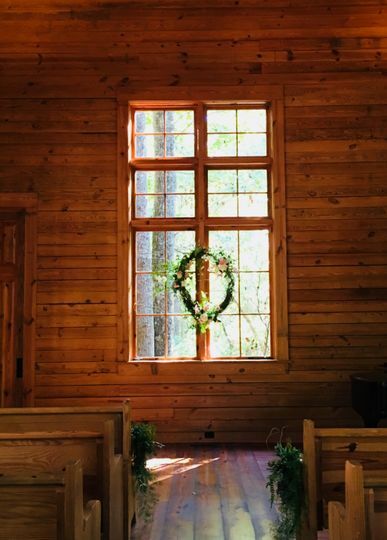 Highland Park Chapel-the perfect setting for our wedding. Now, 3 years later, I haven't thought of a single thing I would change. 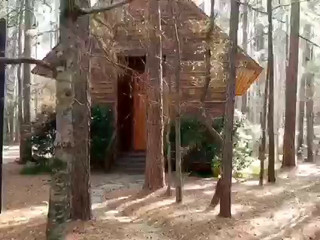 The first time I laid eyes on this chapel I knew it was my place! Perfect size for around 100 guests which felt intimate, but also like the celebration it was meant to be as I married the love of my life. It was clean with perfect lighting through the tall windows and I didn't feel like I needed to add much in the way of decorations. It's simply beautiful the way it's nestled in the woods, but access is easy. 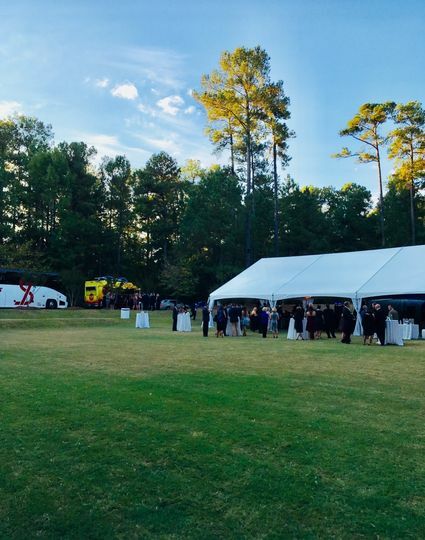 The adjacent grass field was well manicured and perfect for our reception with plenty of room for our large tent. The Reese family had true vision when they developed this wonderful area and were so easy to work with. 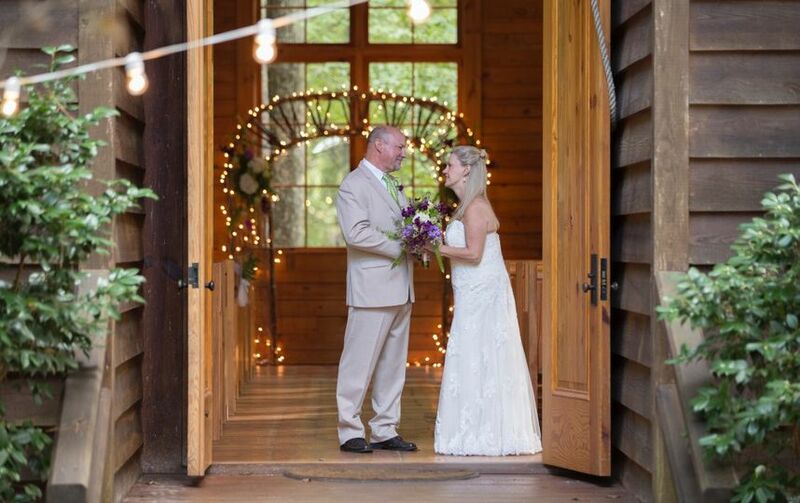 If you choose Highland Chapel for your special event, I promise you'll be glad you did!